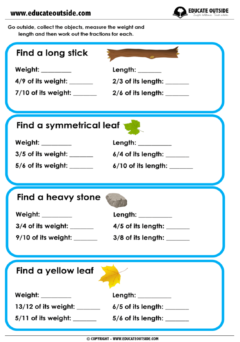 Fractions, Fractions, and more Fractions! 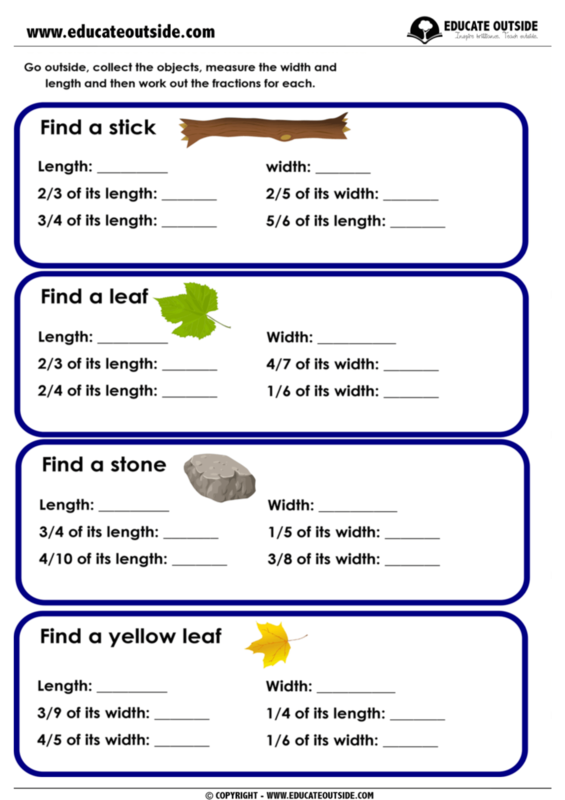 For this activity your class will head outside putting their measuring skills into practice before working out a fraction of the length, width, or weight of different objects that they must hunt out. 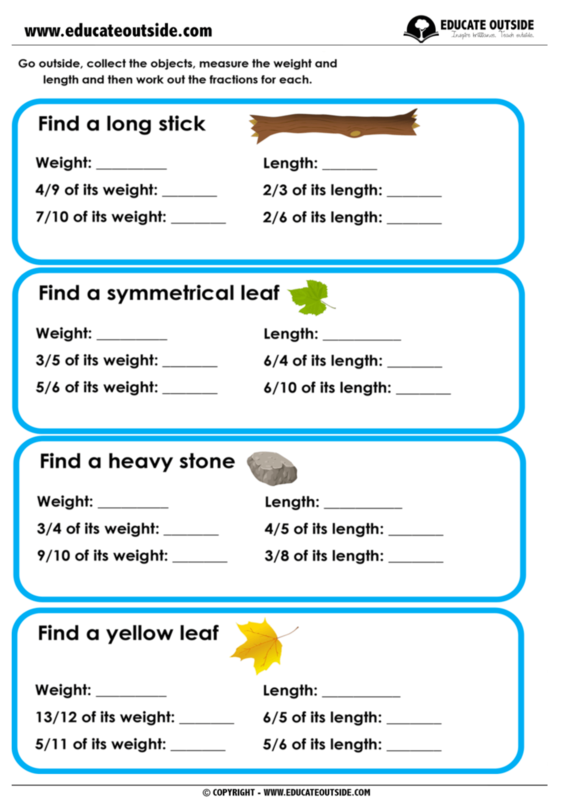 It is recommended that you allow your class to use calculators for this activity, however it could provide a good challenge for some children to try it without. 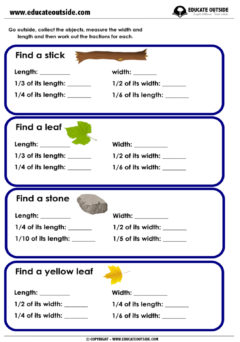 The question sheets are differentiated, however the activity can also be differentiated by getting the children to work in small mixed ability groups. 5 x differentiated division activity sheets.